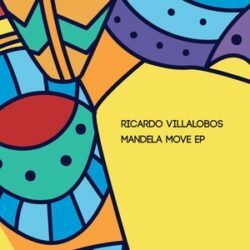 Berlin mainstay Ricardo Villalobos delivers the Mandela Move EP, a four-track EP of freshly stripped-back dancefloor movers saturated in brilliantly clever, unorthodox, and masterful sound design. Arriving as the second release on the Deset label, Ricardo Villalobos offers his incredible production talents to the blossoming Italian label, already heavily desired by both discerning DJs and punters alike. “Mandela Move” is a patient club cut in true Villalobos style: loopy, track-y, and trippy. Sonically shapeshifting in different directions, surprise percussion changes, perfectly sourced samples and a storytelling theme from start to end. “Frontec” is a shimmering 13-minute banger focused on only the most important elements and effects. Live percussion and fantastic tones sprinkle throughout with creatively tuned bells and whistles scattered across in a way only Ricardo can do. “Ectroscop” comes complete with some fuzzy bass frequencies and twisted vocal samples which rest under the surface. The loose rhythm structure and general freedom of the track confirms a true dance cut destined to be a favorite for the crowds listening closely. “Beetglass” is centered around a shuffling house foundation with huge synth swirls which come seemingly out of nowhere. Truly a primetime Villalobos banger if there’s ever been one. Destined to lift the heads off the lucky folks on the floor when it’s played.